The U.S. stock market has been exhibiting heightened volatility ahead of Christmas. Notably, the S&P 500 witnessed its best start to December in eight years followed by the best week since 2011 while posting its worst one-day performance in nearly a month by falling more than 3% on Dec 4. The sell-off was triggered by the flattening yield curve (a phenomenon in which longer-dated debt yields fall faster than their shorter-dated counterparts) that has sparked fears of recession. Notably, the spread between the 10-year yield over its two-year counterpart shrank to the smallest since the start of the financial crisis in January 2008, signaling a slowdown in the world’s largest economy. Although the trade truce between the United States and China at the Group of 20 meeting in Argentina renewed the appetite for riskier assets at the first day of trading in December, conflicting comments from President Trump and some senior officials led to uncertainty over trade talks. However, the Fed’s dovish view, an accelerating economy and hopes for fresh cuts in oil supply when OPEC meets in Vienna on Dec 6, bode well for the stock market (read: Tap Oil with These Leveraged Energy ETFs). Powell recently said that interest rates were “just below” the level that would be neutral for the economy — meaning they will neither speed up nor slow down economic growth. This is in contrast to October remarks — the rate was “a long way” from neutral — which led to worries that the rate increases will crimp growth. Additionally, the subsequent minutes from the central bank’s latest meeting suggest that the Fed will likely raise rates this month but may stall rate hikes next year. Further, the U.S. economy has been on a solid growth track with robust job creation, strong GDP growth, a 50-year low unemployment rate, solid wage gains, and rising consumer and business confidence. Given the bullish fundamentals amid bouts of uncertainty, investors should focus on high-quality investing. Quality stocks are rich in value characteristics with healthy balance sheet, high return on capital, low volatility, elevated margins, and a track record of stable or rising sales and earnings growth. These products thus reduce volatility when compared to plain vanilla funds and hold up rather well during market swings. Further, academic research shows that high-quality companies consistently deliver superior risk-adjusted returns than the broader market over the long term. Given this, we have highlighted five ETFs & stocks targeting this niche strategy. These could enjoy smooth trading and generate market-beating returns in a rocky market. This fund provides exposure to large and mid-cap stocks exhibiting positive fundamentals (high return on equity, stable year-over-year earnings growth and low financial leverage) by tracking the MSCI USA Sector Neutral Quality Index (read: Markets in Red for the Year: Follow Goldman With 3 ETF Tactics). 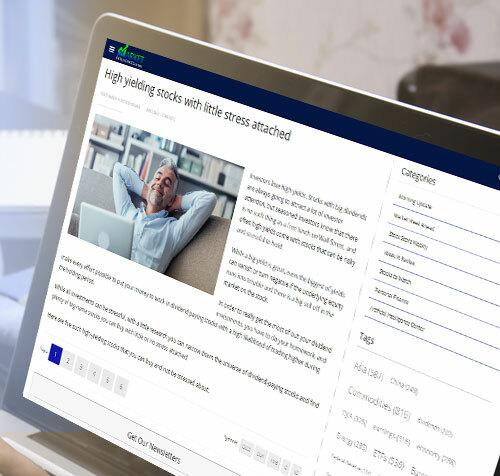 This fund tracks the S&P 500 Quality Index, a benchmark of S&P 500 stocks that have the highest-quality score based on three fundamental measures — return on equity, accruals ratio and financial leverage ratio. This ETF seeks to track the performance of the rules-based and fundamentals-driven Barron’s 400 Index. 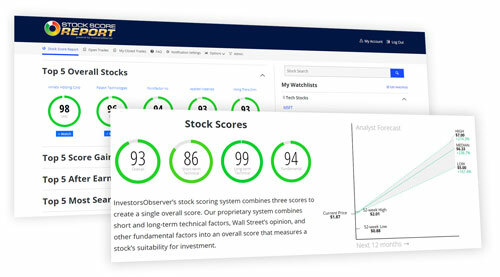 The benchmark uses the MarketGrader’s fundamental analysis to select America’s highest-performing stocks based on growth, valuation, profitability and cash flow. This ETF follows the Northern Trust Quality Dividend Index and maximizes exposure to quality and dividends while maintaining a beta near 1. This fund offers exposure to stocks that have a combination of value, low volatility and quality factor strategies. This is done by tracking the MSCI USA Factor Mix A-Series Index (read: 5 ETFs Leading the Current Market Rally). To find out the best stocks in this space, we have used the Zacks Stock Screener. The parameters include a Zacks Rank #1 (Strong Buy) or 2 (Buy), VGM Score of A or B, return on equity (ROE) of at least 10%, debt-to-equity ratio of less than 1, positive five-year historical EPS growth, double-digit current-year EPS growth, positive current-year earnings estimate revisions over the past 30 days and dividend yield of greater than 1%. This transportation and logistics company is engaged in transporting truckload shipments of general commodities in interstate and intrastate commerce in the United States, Mexico, Canada, China and Australia. This financial services company provides brokerage and related products and services primarily to individual retail investors under the E*TRADE Financial brand. This is a diversified manufacturer of highly engineered industrial products. It provides products and solutions to customers in the aerospace, electronics, hydrocarbon processing, petrochemical, chemical, power generation, automated merchandising, transportation and other markets. This health care company provides medical products, through its subsidiaries. It operates through Commercial, Consumer and Other segments. This data authority for hybrid cloud provides a full range of hybrid cloud data services that simplify management of applications and data across cloud and on-premises environments to accelerate digital transformation (read: 5 Low P/E Tech ETFs for Investors). Quality ETFs and stocks often provide hedge against market volatility. Adding any of the abovementioned products to one’s long-term portfolio could be a good move given their credit worthiness and soundness.